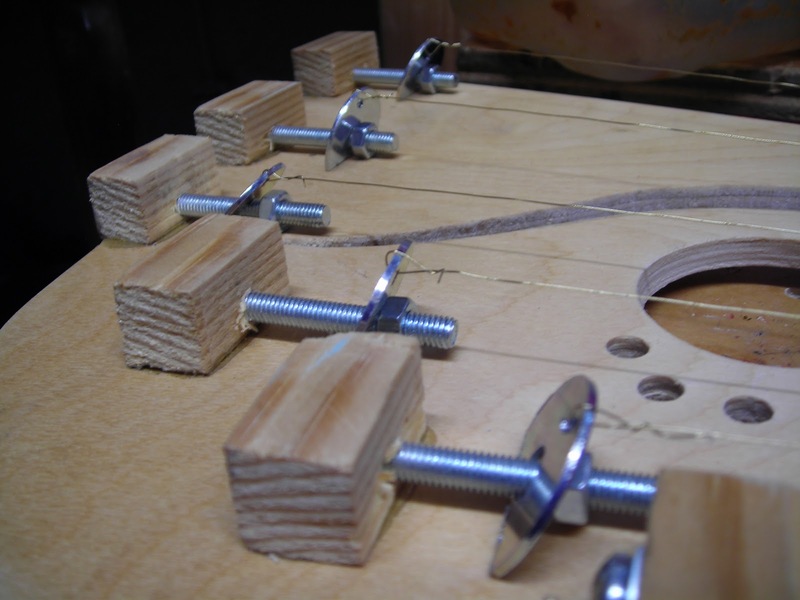 To me, the trickiest part to a completely DIY stringed instrument is the tuning pegs. 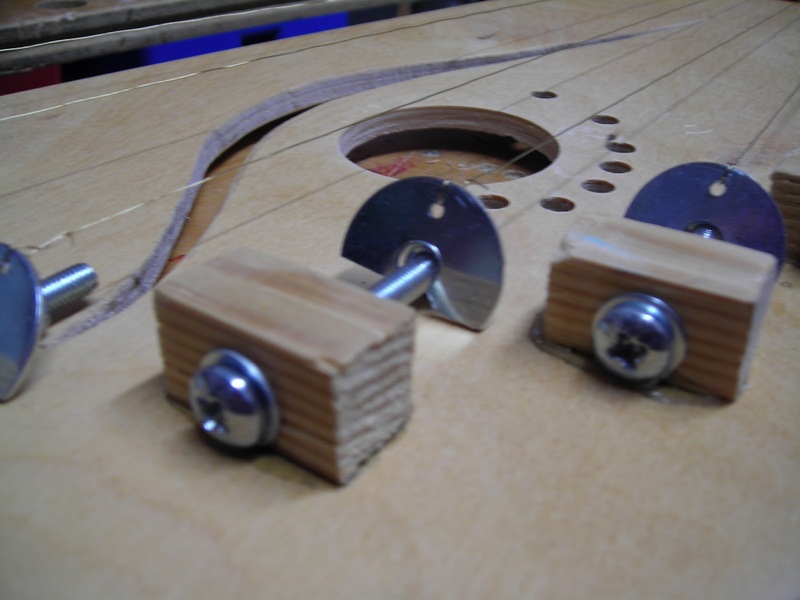 Which is why I came up with this incredibly simple (and must have been done before somewhere) 10 pence tuning peg! UPDATE: I’ve written a new post on various tuning pegs ideas I’ve come up with, check it out here! All it involves is a bolt, a nut, a washer and a washer with a hole drilled into it. .Put that washer onto a secured bolt and add the nut, but don’t screw it on too far. Tie the other end of the wire as tight as you can to whatever it’s going to be anchored to. Turn the bolt with screwdriver while holding the nut, this will push the nut and washer up the shaft of the bolt, increasing the tension in the wire. 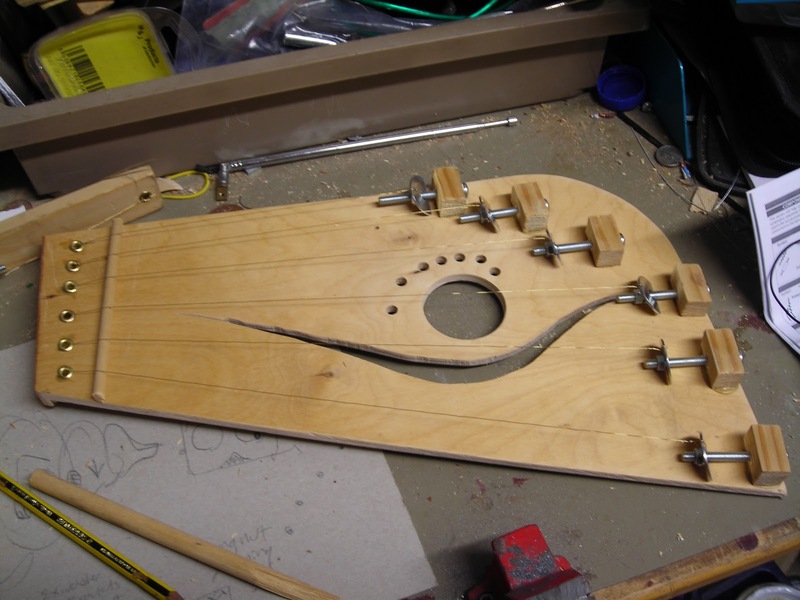 I knocked up a quick and simple hammered dulcimer to see how well it worked, and so far so good!